The independent spirit and lust for life within Admiral Horatio Nelson became the inspiration for Admiral Nelson’s Premium Spiced Rum. He was a bold character who led an adventurous life defending the open waters. 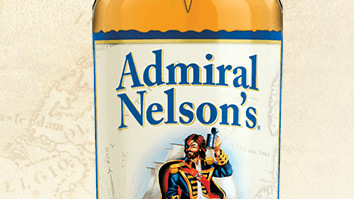 So, why not honor him with a bold rum that is full of flavor and Admirably spiced? Furthermore, why not honor him with a complete family of rums allowing you to make your own decisions and chart your own course.